The campaign seemed to work well on Imgur, as using hashtags with wide audiences, such as “funny” and “sports” helped draw in audience. The Twitter ads seemed to be semi-effective as well, drawing in a decent audience; however, while I did exceed my goals of 500 views, I did not get to my goal of three comments. Their probably wasn’t enough activity on Imgur itself, which is something I could have tried to encourage and/or rectify that. Maybe more of a call to action (i.e. “comment if you agree!”) and sharing on a wide sphere could have led to more comments. Also, maybe if I replied back to the one comment that is in there, that could have spurred conversation. Love your meme and your analysis. I was also hoping for more engagement on my tweet. I agree that a call to action might have been the way to go! 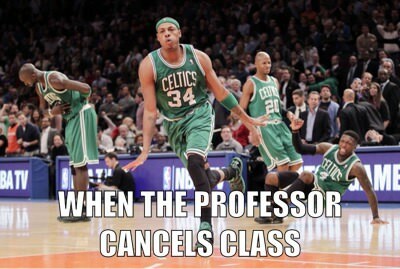 As a Celtics and basketball fan alike, I appreciate and enjoy your meme! I should have tried to implement a call to action for my meme, too. I think that would’ve helped. 859 is a great number of views!